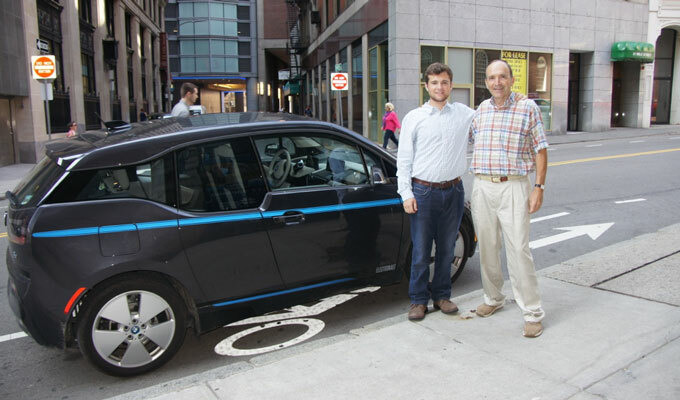 They blocked the bike lane to get their photo of the new BMW electric car. 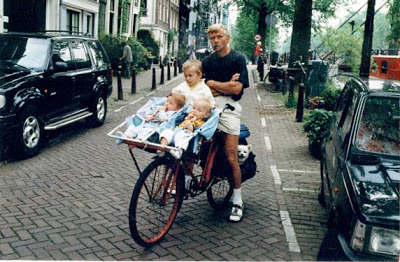 One single photo that sums up the Sierra Club approach to transport policy. America’s streets are designed and evaluated with a an inherent bias toward the needs of motor vehicles, ignoring those of bicyclists, pedestrians, and public transit users, according to a new study co-authored by Wesley Marshall of the University of Colorado Denver. Marshall co-wrote the study with Eric Dumbaugh, PhD, associate professor at Florida Atlantic University and director of Transportation and Livability for the Center for Urban and Environmental Solutions and Jeffrey Tumlin, owner and director of strategy at Nelson\Nygaard Consulting Associates in San Francisco. According to Dumbaugh, many people assume roads are designed with all users in mind when in fact they are dedicated almost entirely to the needs of motor vehicles. In fact, a previous study by Dumbaugh revealed that as per capita traffic delay went up, so did per capita Gross Domestic Product. Every 10 percent increase in traffic delay per person was associated with a 3.4 percent increase in per capita GDP. That’s because traffic congestion is usually a byproduct of a vibrant, economically productive city, the study said. 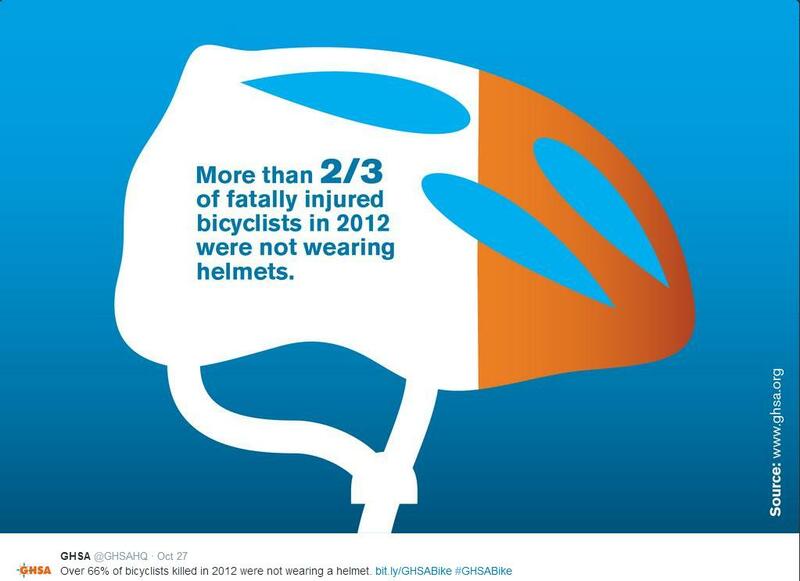 The view according to the GHSA is that bicyclists are getting killed not from the lack of infrastructure — but because they are drunk and don’t wear helmets. 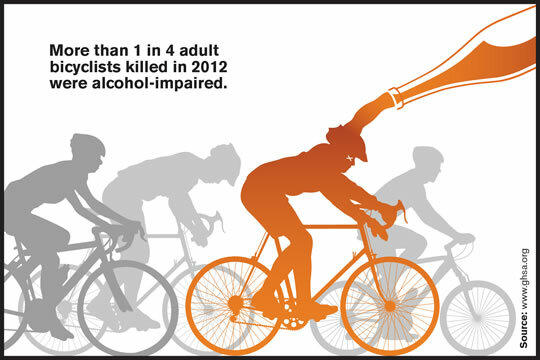 And while they are correct in stating 1 in 4 adult bicycle fatalities were alcohol-related, that is lower the overall rate of traffic fatalities. According to the CDC, 1 in 3 traffic fatalities are alcohol-related. And I’m willing to bet that none of those drivers were wearing helmets. 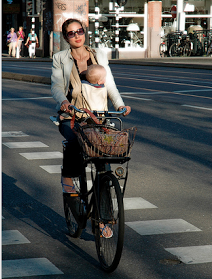 California (and many other states) have singled out children for mandatory bike legislation. 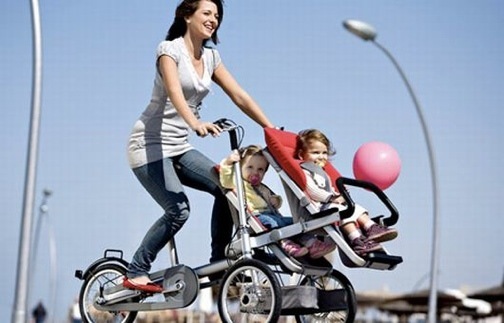 The “logic” is that if kids need car seats in automobiles, then they also need helmets when riding on bikes. But when looking at the actual data, this makes no sense. Young children have much lower fatality risk compared to other age groups. According to the NHTSA, the 14-and-under age group makes up 9% of bicycle fatalities. It is adult males who account for most bike fatalities. 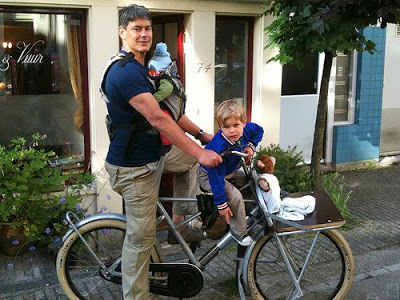 A man filed a lawsuit Tuesday accusing San Francisco police officers of wrongfully arresting him and forcibly taking his infant son from him after stopping him for riding his bike with his child strapped to his chest in a Baby Bjorn carrier. 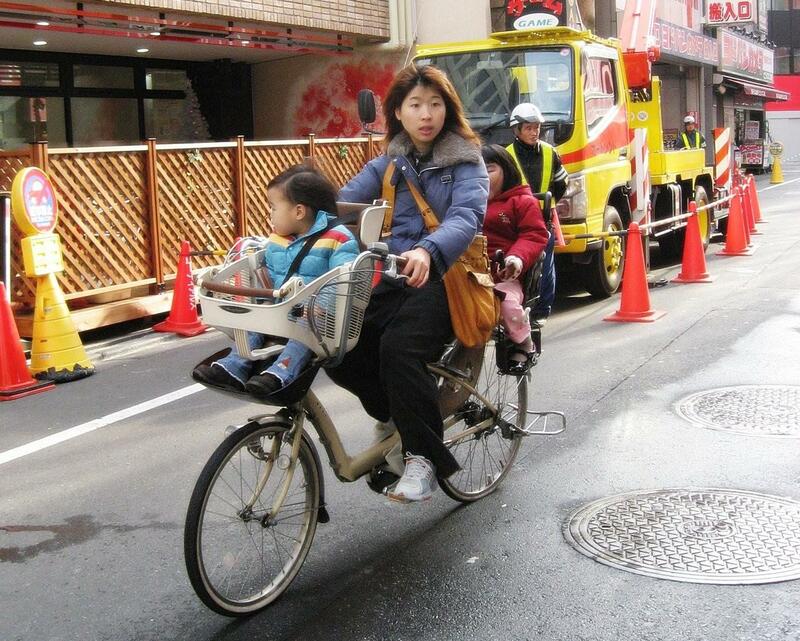 Takuro Hashitaka said he and his then-10-month-old son, Moku, were riding in a bike lane on Eighth Street headed to a Trader Joe’s two blocks from his South of Market home on Dec. 13. The infant was strapped to Hashitaka in a Baby Bjorn and “further secured by a sweatshirt that had been modified into a traditional baby carrier garment with a hole for Moku’s head,” said the federal civil rights suit filed in U.S. District Court in San Francisco. Officers Anthony Bautista and Brendan Caraway came up behind them in the bike lane and “came close” to hitting them, the suit says. Caraway asked over the patrol cruiser’s loudspeaker why the baby wasn’t wearing a helmet, and Hashitaka, “unaware of a requirement for a baby to wear a bike helmet,” asked the officer “what the authority was for this,” the suit says. The officers activated their lights and stopped Hashitaka at a gas station at Eighth and Harrison streets, the suit says. The officers grabbed Hashitaka’s wrists, telling him he was being arrested and that Child Protective Services would take his son, according to the suit. Other officers arrived and took Hashitaka to the ground and choked him until he lost consciousness. Alameda County voters will soon go to the polls to decide the fate of a proposed BART extension to Livermore. The project has been controversial not just among transit activists, but also Livermore residents. In 2012, a transportation sales tax measure that would have funded the project was narrowly defeated, largely because of lackluster support in Livermore. A majority of Livermore voters were opposed. So there you have it. Billions of dollars should be spent extending BART out to Livermore, just to have it surrounded by a moat of parking. 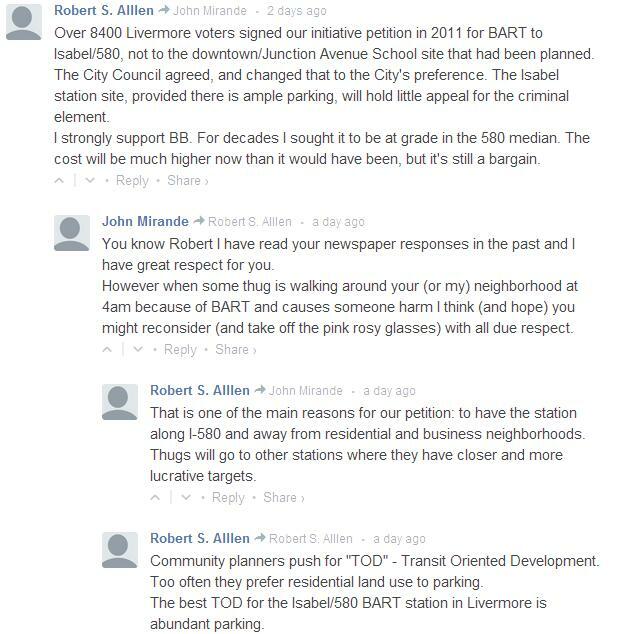 To protect Livermore from thugs that ride transit. One of the more closely watched races in California is Assembly District 15. The seat had been held by Nancy Skinner, who is being termed out after 6 six years. The California Democratic Party has nominated Elizabeth Echols, even though she has never held elected office. Her challenger is Tony Thurmond, who served on both the Richmond City Council and the W. Contra Costa School Board. Echols previously ran for an position on the AC Transit Board of Directors. Reading her candidate statement for that position is rather eye-opening. One of her main interests was having AC Transit increase its investment in hydrogen fuel buses. Keep in mind this was in 2009, during the depths of the Great Recession, when AC Transit was in terrible financial condition. It is baffling that she would propose using expensive technology (that does nothing for riders) at a time when routes were being slashed.